Cast On Sunday - monemades Webseite! 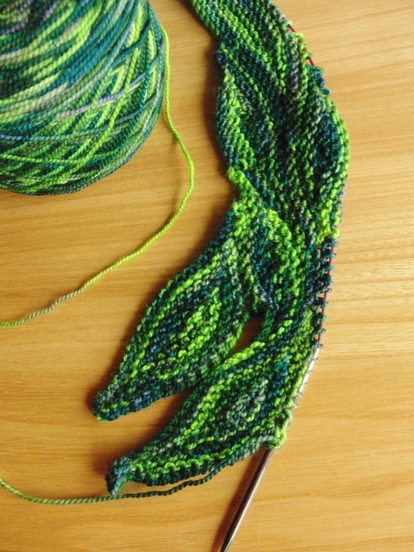 It's a fun pattern, easy to knit and very addictive... but instead of 'just one more row' it's now 'just one more leaf'. I'm pretty sure it won't take long until I can share the FO with you.